Kidney transplant surgery was successfully performed on 26.01.18 by the team of medical experts. Indian Pharmacopoeia Commission, National Coordination Centre (NCC) for Pharmacovigilance Programme of India (PvPI) has signed a Memorandum of Understanding with National Accreditation Board for Hospitals and Healthcare Providers (NABH) for effective implementation of ADRs reporting. This Training Programme intends to provide a platform for the NABH accredited hospitals of the region to understand the systems and procedures involved in ADR reporting and also facilitate ease of doing Pharmacovigilance. The experienced faculties from ADR monitoring centres of NCC-PvPI will be providing hands on training on the subject. 18 year old college student , noticed recent onset of tiredness , shortness of breadth and loss of weight for the past few months . His day to day activities are becoming a burden.He presented in cardiology OPD ,where Dr.Srinivasan examined and did a Transthoracic and transesophageal Echo. He was diagnosed to have annulo-aortic- ecstasia which means his ascending aorta had enlarged to a critical level and also causing severe aortic valvular leak .Also his left side of the heart had enlarged and its function being compromised. Patient required early surgical treatment to contain the ongoing enlargement of the great artery , if left unattended , the great artery may rupture and cause instant death . The procedure was done using cardiopulmonary bypass.Adequate measures and precaution taken to preserve the circulation to all vital organs . Absolute hemostasis obtained to control blood loss.Patient recovered well and discharged 7 days after surgery. 38 years old lady, Mrs. Vanitha Rani, an Anganwadi worker had been visiting many doctors with varying complaints ranging from palpitations, breathlessness, headache and fever for over 6 to 8 months. Initial investigations and treatments elsewhere did not provide any permanent relief to her. She was referred to Vadamalayan Hospitals. Cardiological and neurological evaluations were essentially normal. A screening abdominal ultrasound reveled a right suprarenal mass. Subsequent CT Scan of the abdomen and blood investigation (metanephrines) proved it to be a rare tumor “ PHAEOCHROMOCYTOMA” of right adrenal gland. Phaeochromocytomas are symptomatic due to release of the “ Stress Hormones “ ( adrenaline and nor adrenaline ) in excess quantity than normal into the blood stream. It is known to be a “ great mimicker ” of many diseases. These hormones when they act on the heart and blood vessels cause hypertension ( usually episodic ) and palpitation ( aware of ones own heart beat ) . When they act on the brain, they cause headache, tremors and symptoms of anxiety. Some patients even end up in the psychiatric department due to the vagueness and variety of symptoms. She was stabilized for 14 days with adequate control of hypertention and optimization of electrolyte levels. Dr.J.Sathish Kinne, Senior Consultant Urologist along with Prof. Dr. M. Srinivasan, Senior Consultant Cardiologist ( leading the medical team) under took the procedure of right adrenalectomy. Postoperative period was stormy. 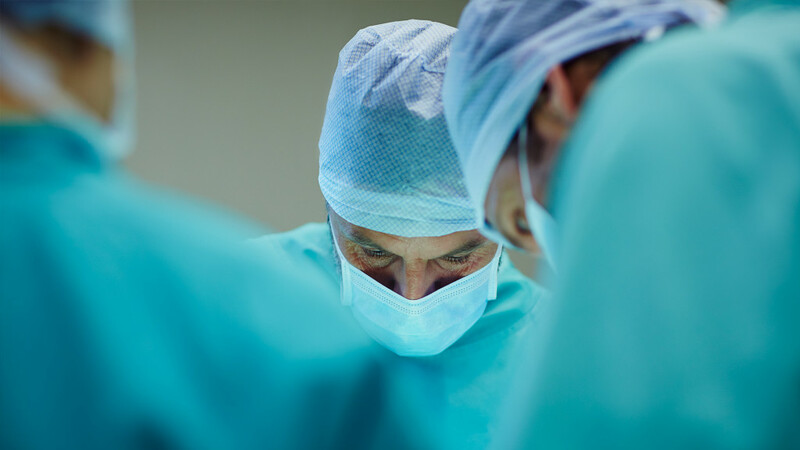 However, the patient recovered completely on the 10th post operative day and till date remains asymptomatic and normotensive without any drugs. 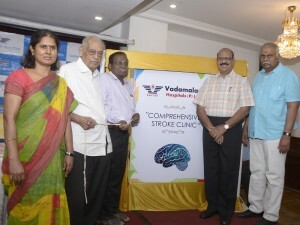 Dr.V.Pugalagiri, Chairman and Managing Director presided over this press meet. He said, a high degree of clinical suspicion needs to be kept in the mind of evaluating physician to diagnose this condition. Multi disciplinary approach with adequate pre operative planning, cautious intra operative and post operative management was the key to the success. He concluded that this rare case will create awareness among the public about a completely curable cause of hypertension. 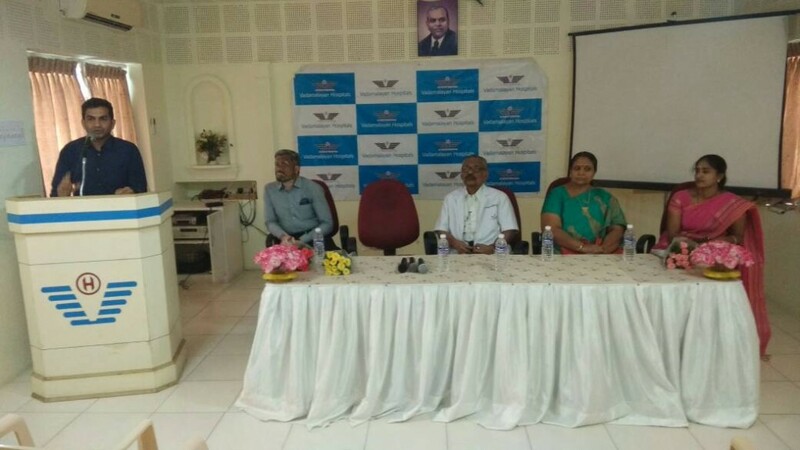 Vadamalayan Hospitals organized press meet in the verge of Corporate social activities launch commemorating 60th year celebration of Vadamalayan Hospitals. Chairman & Managing Director Dr.V.Pugalagiri and Joint Managing Director Mrs.Chandra Pugalagiri explained CSR Activities. In India out of 100 cancer patients 3 or 4 are below 15 years of age. Before thirty years the cure rate was only 30% in childhood cancers. This was due to lack of access to care, stigma of cancer and financial constraints. Now the situation has changed. More than 80% of childhood cancers are curable which is due to the availability and optimal use of multimodality treatment in oncology with inputs from medical, radiation and surgical oncologists ( as a team ), technical advances in lab diagnostics, blood donation and enormous resilience shown by little children and their parents. between the age from 4 to 15 years. The treatment cost will be approximately Rs.1.5 lakhs to 2 lakhs per children. This project will definitely provide benefit to poor families. The second CSR activity is employment for transgender at Vadamalayan Hospitals. 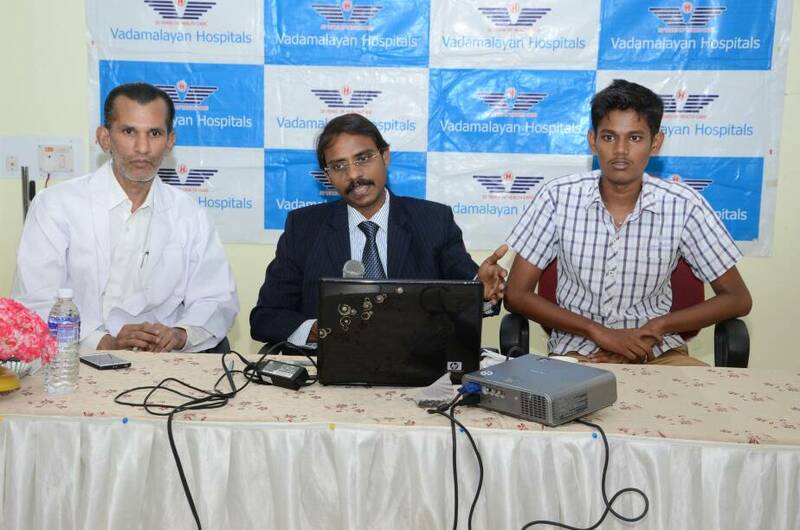 Vadamalayan Hospitals is initiating job opportunities for transgender to uplift their lifestyle. 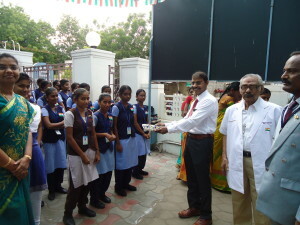 And the third CSR activity is to provide Anemia detection treatment & health awareness for 60 corporation & Govt schools in and around Madurai. Good Nutrition, Exercise, Health & Hygiene helps a child to stay healthy. 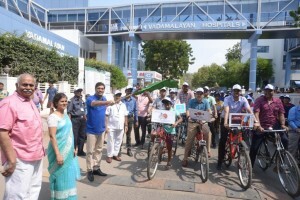 To accomplish this an unique health awareness programme is to be carried out by Vadamalayan Hospitals. Dr.P.Vadamalayan, our founder, was an excellent surgeon, an enthusiastic teacher, a strong believer in corporate social responsibility and a stringent practiitioner of Evidence based medicine. Since the 1930s, the name of Vadamalayan, has been synonymous with excellent medical care delivered with the latest of technologies, and accessible at affordable cost to all the needy, throughout South Tamilnadu. His contribution to healthcare was immense, and he was conferred the title of “Rao Bahadur” by a thankful Central government, which at that time, was equivalent to a “Padma Bhushan”. His values and his legacy of ” patient comes first” has enabled us, over the past 59 years, to grow from a small clinic with 10 beds, to the present 250 bedded superspeciality hospital. 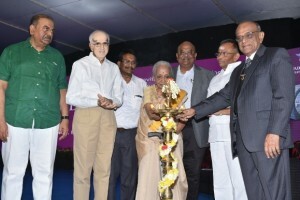 His battle with cancer and demise, caused a deep impact on his son Dr.Pugalagiri Vadamalayan to full fill the dreams of founder setting “ Vadamalayan Integrated Cancer Center” to bringing world class treatment to Southern Tamil Nadu districts making their over all cost of treatment affordable. To bridge the huge need gap and to provide access to world-class cancer care to the people of South Tamil Nadu, Vadamalayan Hospital today inaugurated the first Oncology Day Care Center in Madurai, Tamil Nadu. About the center, Dr. Pugalagiri Vadamalayan, CMD Vadamalayan Hospitals said, it will revolutionize the way cancer care is delivered to people of Madurai and South Tamil Nadu districts, bringing world-class treatment closer to them and making their overall cost of treatment affordable. GE also helped Vadamalayan plan their IT infrastructure with oncology specific digital solutions that will enable the center go paperless, drive efficiency and also allow doctors to collaborate with specialists from others parts thus ensuring high quality care and clinical outcomes for patients. Before this center came up, the Madurai region had only one government hospital and three Private hospitals with Radiotherapy treatment facilities. The region did not have advanced cancer diagnostic facilities like PET/CT and patients in South Tamil Nadu had to travel to Chennai or Coimbatore to avail any comprehensive care for Cancer, significantly increasing their cost of treatment. With this center, people in the regions can avail advanced cancer care treatment while significantly lowering their overall cost of treatment (travel and lodging). Also the Oncology Day Care center modelallows delivery of comprehensive cancer care in an OPD setting without the need for hospitalization, as is the practice in the western world. The value of Whole body Positron Emission Tomography–Computed Tomography (PET/CT) for diagnostic imaging in oncology is well established with its capabilities to combine anatomical and functional aspects of the whole body to provide a complete picture of patient’s health. Healthcare providers not only want the ability to detect smaller lesions, but also the ability to accurately determine whether the patient is responding to current treatment(chemotherapy and radiotherapy). When using CT alone, up to six cycles of chemotherapy may be required to determine if the treatment is effective. PET/CT can help speed up treatment, because metabolic changes in a tumor occur more frequently than structural changes. It is a more accurate and reliable solution that can help clinicians determine how well a treatment is working especially in lymphomas after as few as 1 to 2 cycles of chemotherapy, and they will be able to tailor the treatment according to individual patient’s response and needs. Thus Molecular imaging using PET/CT is a decisive tool for early diagnosis, treatment staging as well as monitoring the progress of treatment, while also reducing overall treatment cost. This powerful workhorse treats thousands of patients around the world every day. Designed to deliver a wide range of imaging and patient treatment options, the Clinac iX system offers advanced features to facilitate state-of-the-art treatments including IMRT, IGRT, RapidArc and stereotactic body radiotherapy,the latest radiation therapy treatment techniques. RapidArc delivers the precise dose distribution and conformity of IMRT and IGRT in a fraction of the time, often two minutes or less. By simultaneously shortening treatment times and improving treatment accuracy, RapidArc technology represents a significant advance for improving the patient experience and increasing the efficiency of radiation oncology departments. Millennium MG, Multi-Geometry Nuclear Medicine System is used to perform a range of Nuclear Imaging studies. Imaging with Gamma Camera involves preparation and injection of radiopharmaceuticals that specifically trace the function of Organ of Interest. Radiopharmaceuticals are prepared in the well-equipped Hot Lab in the Department of Molecular Imaging. These specific radiopharmaceuticals are administered to patients and images are acquired. Static, dynamic and parametric images can be obtained under a Gamma Camera. Providing exceptional mammography care means more than just state-of-the-art technology. It means a positive patient experience that begins with you. It is an important screening tool for early detection of breast cancers which leads to high chances of cure. Breast cancer forms a major burden of cancer load among Indian women population and hence such screening is mandatory in women more than 40 yrs age and even earlier age in those with high risks such as a family history of breast cancer. •	Complete infrastructure with latest gadgets. •	Expertise of eminent Consultants. Vadamalayan cancer designed as per latest digital patient workflow, all the modalities has been digitally connected, which enables delivering highest clinical outcome for cancer patients. It system powered with unique tumor board solutions, which allows Cancer specialists to collaborate, discuss and debate the stages of cancer patients and decide the right treatment protocols/Regiments.